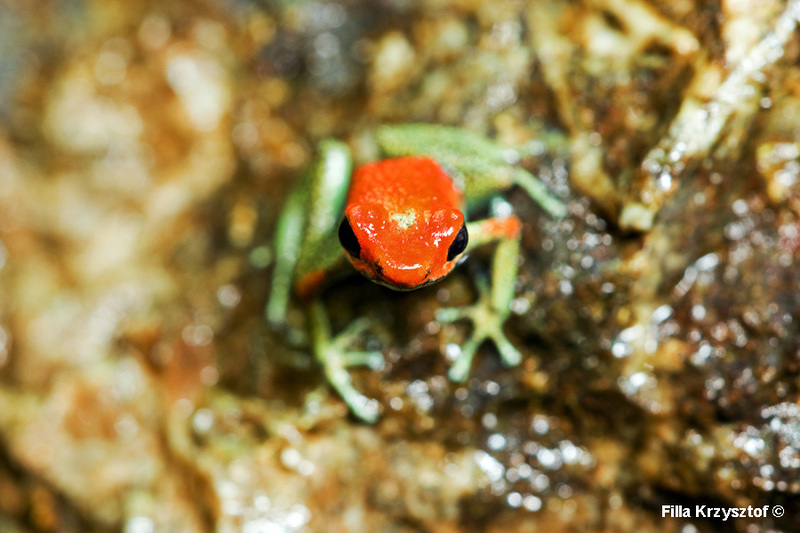 The granular poison dart frog (Oophaga granulifera) is very small, ranging between 19 to 23 mm. It literally could sit in my thumbnail. Their habitat is a humid rainforest in a vicinity of rapid streams. The males are very territorial and for weeks protect their spot calling for females.